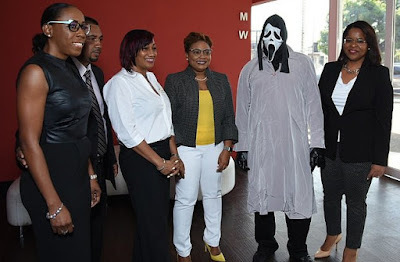 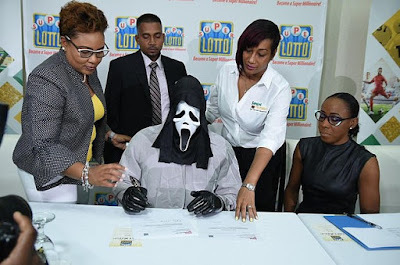 A lottery winner who didn't want money-hungry relatives to recognize him wore a funny mask to collect his N465 million lottery prize. The Jamaican man won £1million. 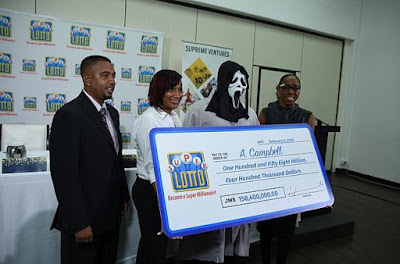 The man, whose name was given only as A. Cambell, wore a mask similar to the one from the movie Scream to claim his winnings.